Arty has delivered a top remix of the massive ‘Spectrum’ from Zedd and Matthew Koma that really does show why he’s a producer worth watching. Keeping the spine-tingling euphoria from the original cut in full flow, Arty blows the track apart with insane production that shows exactly why the young Russian producer is deemed one of the most original and exciting talents to hit the EDM world in a very long time. Bursting with huge sweeping pads and rushing synth sections that sweep up the senses, the energy in the track is evident from the first beat. 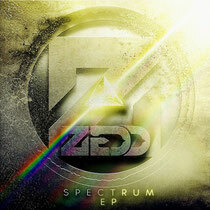 Part of the ‘Spectrum EP’ release on Interscope, which also includes edits from Armin van Buuren, A-Trak, Monsta and Deniz Koyu, an acoustic piano version of the track and a brand new collaboration with Nicky Romero called ‘Human’, Arty’s ‘Spectrum’ remix is out today and available on iTunes and Beatport. Have a listen below.